We take this opportunity to speak a little bit about all the schools that visit us. 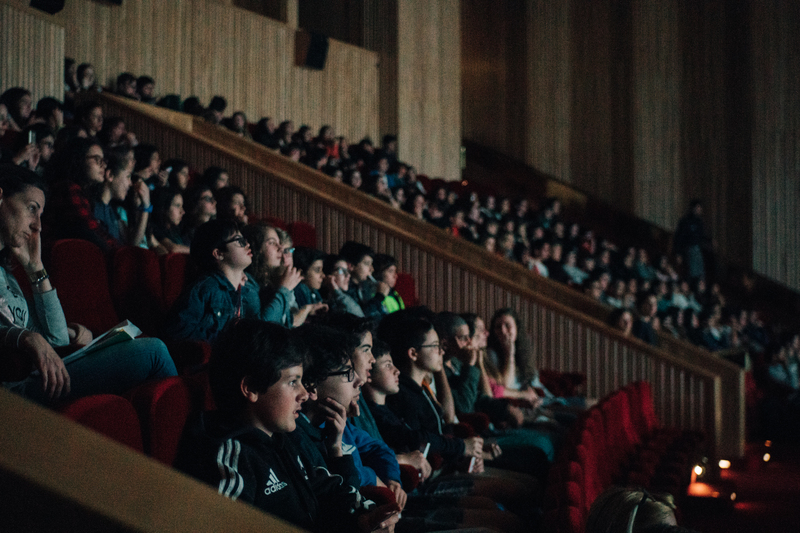 Between pre-school and the 3rd grade, those who walk here and those who come by train, subway or bus, there are more than 8 thousand students that we expect to receive at the Cinema São Jorge and Culturgest venues. Little ones, big ones, the truth is that it’s a constant party to have them all here, thanks to the help of the committed teachers and other helpers. We must also thank the Lisbon City Hall and the passaporte escolar programme, which helps us bring many boys and girls to the film theatres, students who would otherwise have a hard time coming! Thank you to all of you.